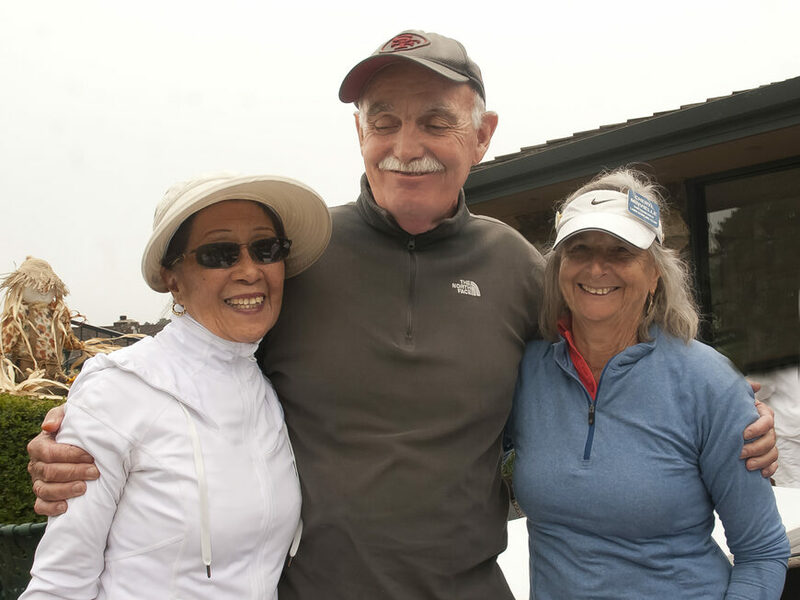 Our club currently boasts three annual lawn bowling tournaments, two for our members and members from other Northern California lawn bowling clubs and one for our members only. This is a tournament exclusively for our club's members, so you'll have to join up to join in. Last year's winners were veteran DMCLBC bowlers Kari Hargrove and Wylie Barnett. Kari and Wylie=Winner, Winner, Chicken Dinner! Who says lawn bowling competition and friendship can’t mix? 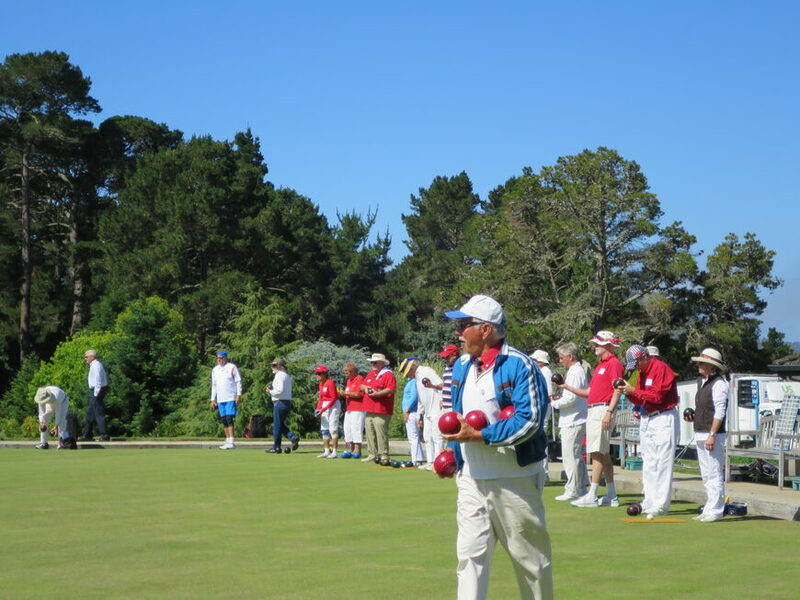 Six South San Francisco Bay/Central Coast California lawn bowling clubs answer a resounding “yes, they can”! 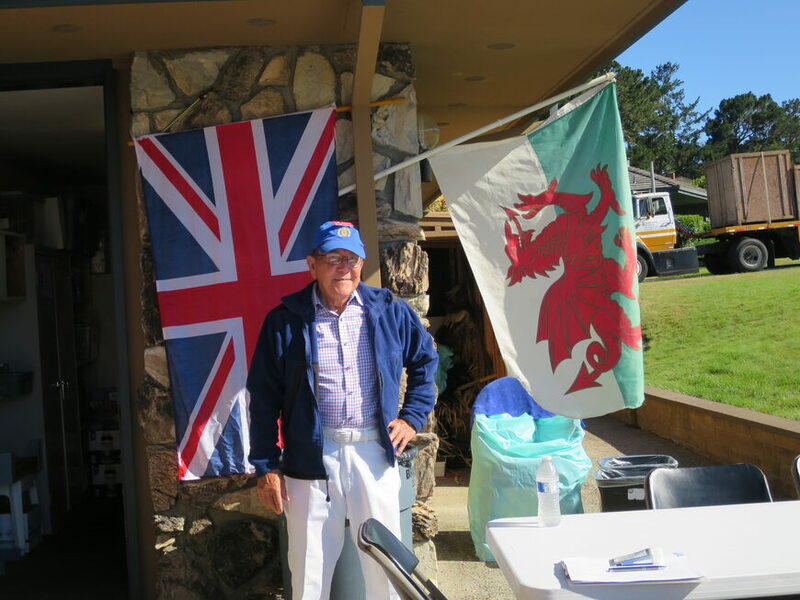 The 2018 John Brown Friendship Games begin May 2nd and end June 6th and are held at the Palo Alto, Sunnyvale, Santa Clara, San Jose, Santa Cruz and Del Mesa Carmel lawn bowling clubs. Perhaps by design, the games started at the northernmost club in our region and ended at the southernmost. The games are named after John Brown, who was PIMD President in 1977 and a champion at promoting the game of lawn bowls. 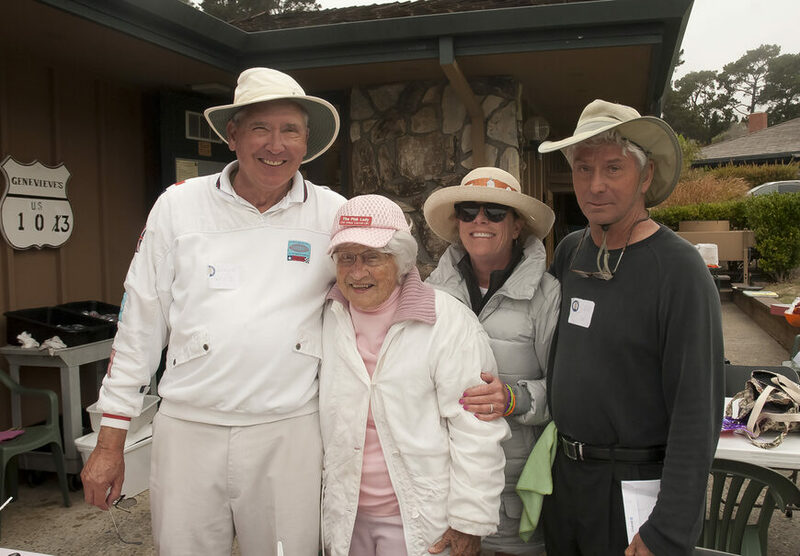 According to Larry Collaco, from the Sunnyvale Lawn Bowling Club, “As a member of the Sunnyvale Club, John initiated friendly competition between the local clubs. These games eventually developed into the informal draw games we now call the Friendship games, open to all bowlers,” and for a very friendly fee of $3. This annual event has been a fun and friendly way to meet new and old friends for quite some time now. The open draw ensures that you will play with and meet a large number of new folks. And several host clubs use ingenious methods to make sure that their hometown members are spread evenly amongst the rinks in play. Participants readily offer advice and encouragement. Larry, who is a very good bowler, is especially generous in this regard. A true gentleman, he always first asks if you would welcome his guidance. If you attend more than one of these games, you get to see and talk with those you met before, and some of us even remember some of their names. Our last year's Friendship Game was played on Flag Day (June 14th), so we featured flags from around the world. In early May look for complete information on this website about our June 6 Friendship Game . Larry Collaco Came Ready to Play! Want a Little Break From All Whites and/or Team Colors? 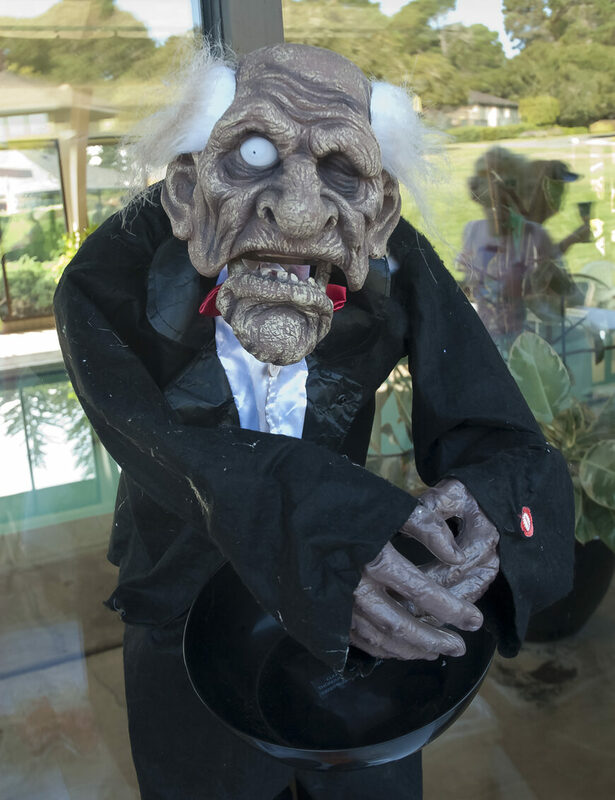 Come to The Del Mesa Lawn Bowling Club's 2018 Tab Boyden Memorial Halloween Classic, and Wear Anything You’d Like! Your lawn bowling club is invited to send mixed or matched triple teams to our annual Halloween tournament on Saturday, October 27th, 2018. This event is limited to 14 triples teams on a first-booked basis. 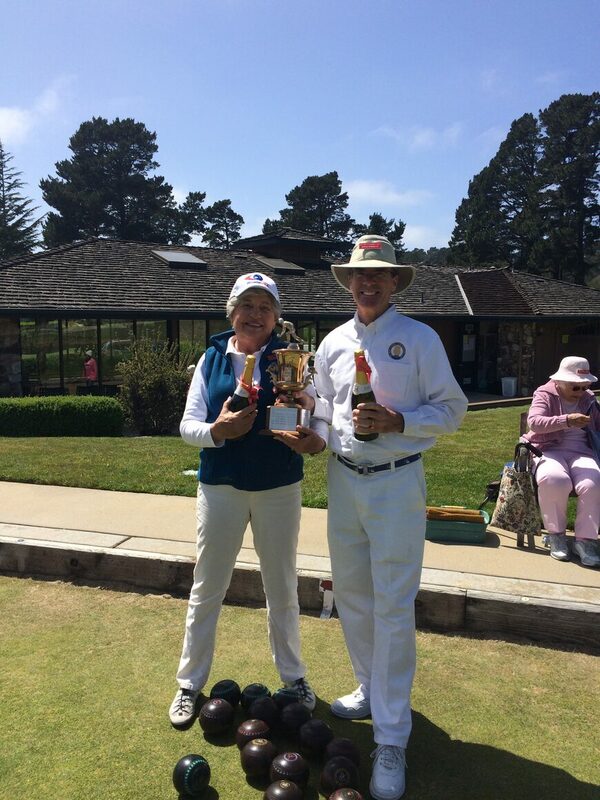 Last year's tournament was won by a team headed by Tess Ball, a member of both our club and the San Francisco Lawn Bowling Club. A highlight of the day was the 2nd place winners, a team anchored by our own Genevieve Cichy, aka "The Pink Lady", who two days later celebrated her 103rd birthday! As last year, this year's tournament features four triples games of eight ends and prizes for tournament play. Like last year, this wild and funny tournament will sell out, so look for more information on this website in September.